Vinnie the Pooh! : Our dear Rover is in love! P.S: I can't believe my eyes when Rover does so many things with my mouse and MS Paint, anyways let us all wish him a very happy Valentine's Day! Rover needs a spl treatment Dog Sena.... 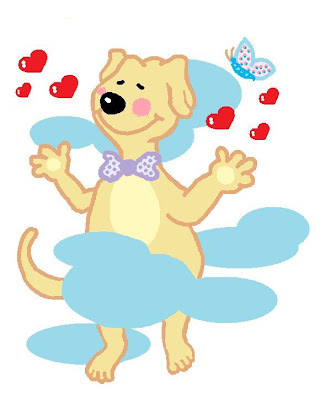 I am amazed with Vinnie's brain by censoring the dog, drawing clouds over it.. Bruce Almighty??? Happy Valentine's day to Rover and everyone! no comments on that from me:) Vin Almighty !!! Senorita, thanks a bunch, girl..wish u too !! Sush, woof..woof woof..wagging his tail now! three on the right and three on the left .. good good..
vaise how was ur valentine's day ? ?